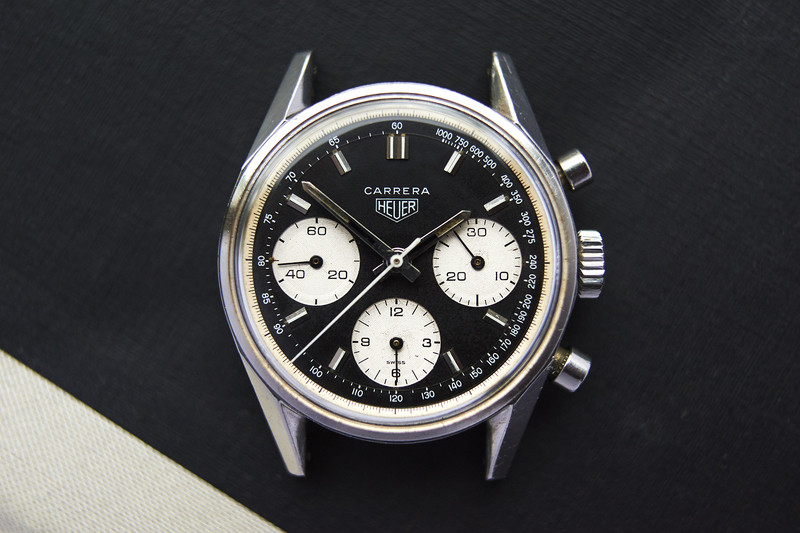 The Valjoux 72 powered “inverted Panda” Carrera version with Tachymeter. 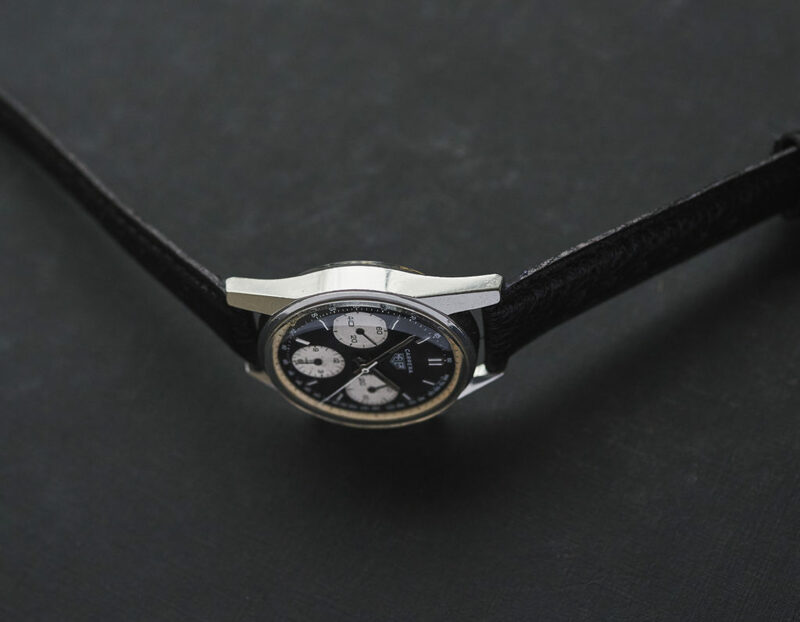 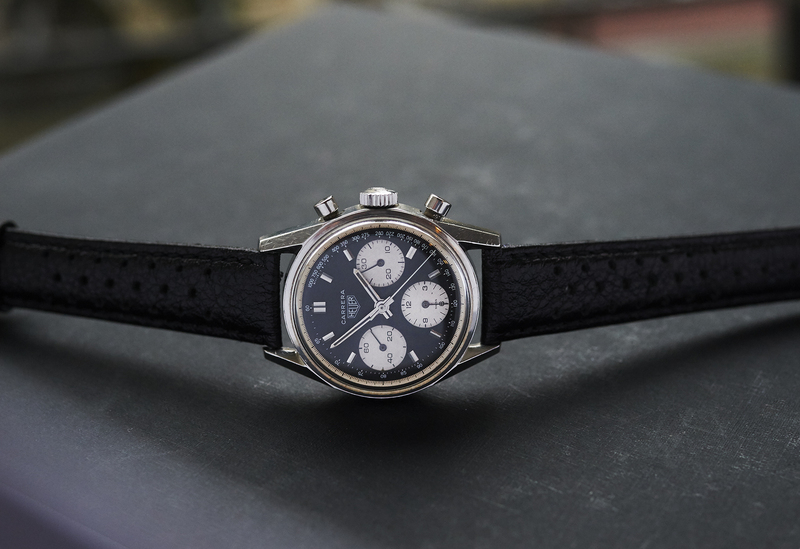 This selected piece here is in absolute authentic condition from it´s unpolished case with clearly readable numbers over the dial and hands with original matching lume to crown, pushers and the “heuer leonidas” signed caseback and movement. 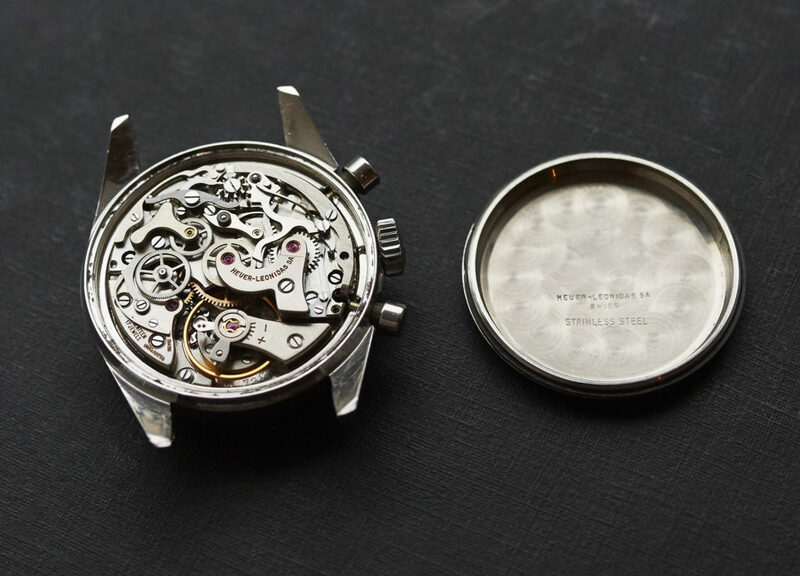 It was checked through by our watchmaker and runs perfectly in all functions. 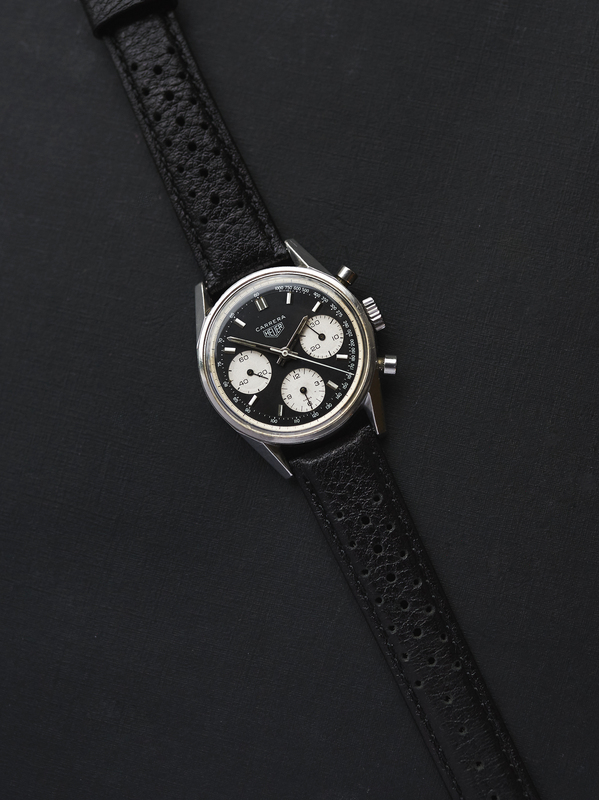 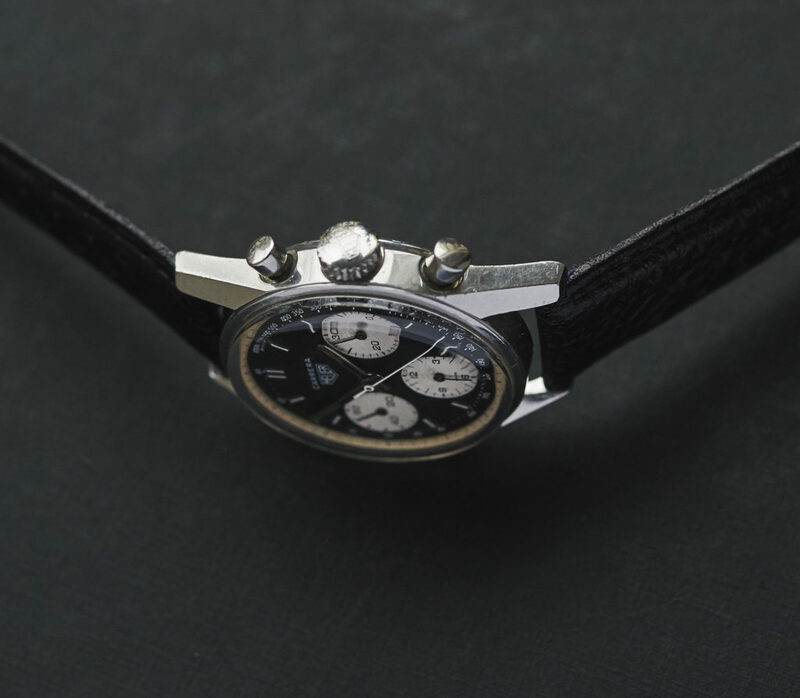 This rare piece comes on a new black racing leatherstrap.